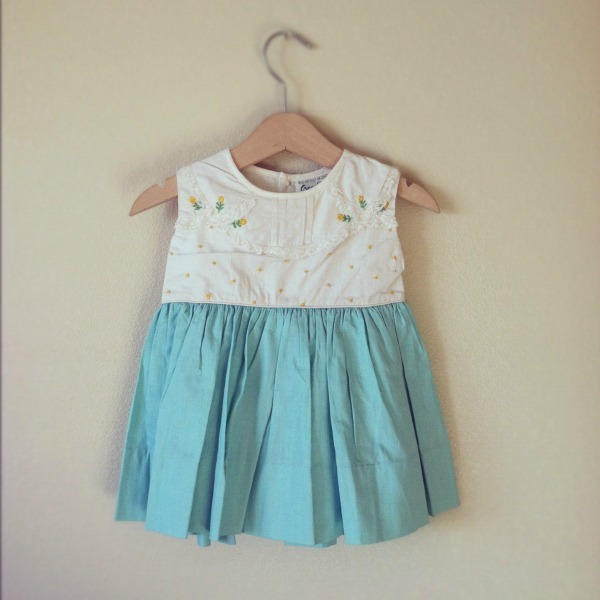 I love picking out a pretty dress for the girls to wear on special occasions. It makes me happy and I think they look darling, plus I plan on storing them so they will each have a box of their own special dresses to keep as heirlooms. I love this dress! The colors and little details are just perfect for a birthday girl. 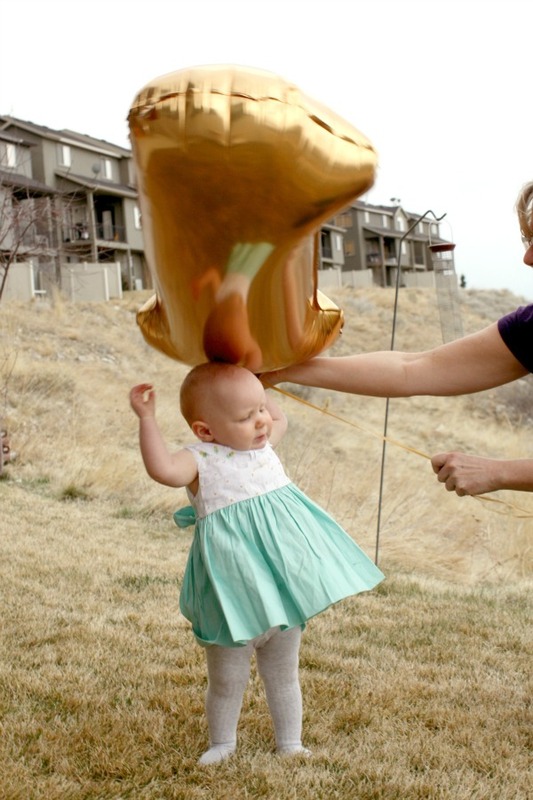 I bought a huge gold number one balloon for her party, envisioning her wearing the dress while holding it for a fun birthday photo (picture this background, the planets aligned, angels singing...). The weather, however, didn't get the memo and turned out to be quite windy. This was the best shot I could get, ha! She was frantically signing 'All done!' and trying to protect herself as the balloon bounced off her head. I quickly realized it was not going to happen and abandoned the idea. Thankfully, my mother was helping me and had a hold of the balloon, otherwise it would have blown away. 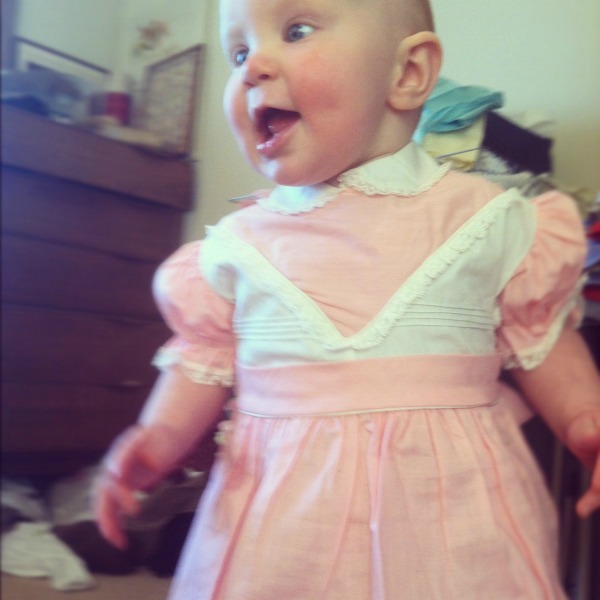 We'll try again next year with another dress and a number two. that last picture is SO cute. 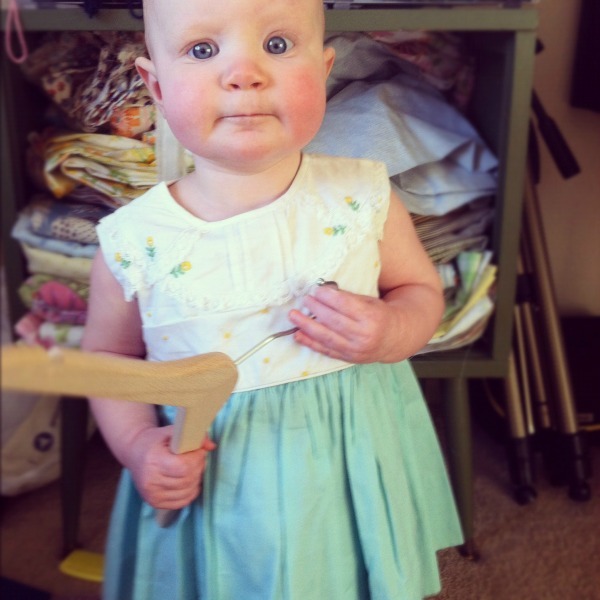 i'm so happy to see that babies don't magically turn into teenagers at their first birthday. she still looks like a baby to me. cute little one. My pictures NEVER work out the way I want them too. Sometimes they are better in hindsight when they tell a story and are not "picture perfect." It seems to say a little somethin' about their personality. 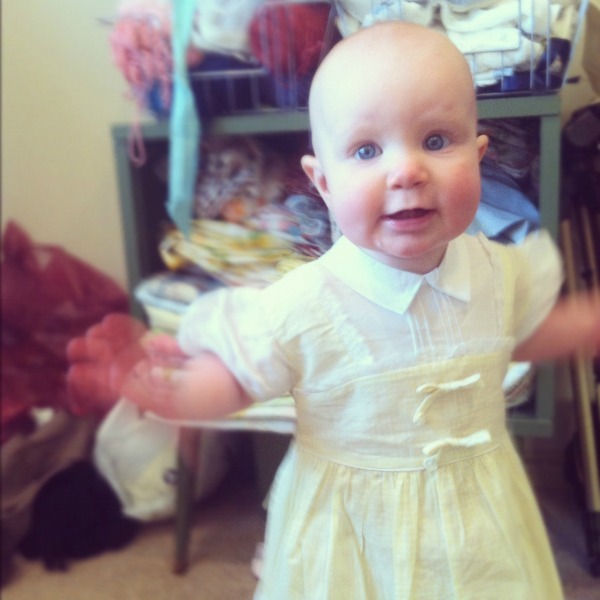 I thought Lark looked adorable in her birthday dress. @jessica - YES! I would LOVE to see her in it!